"If you are looking for that ideal place to relax at the end of a long and stressful day there is no better place than a garden chalet." 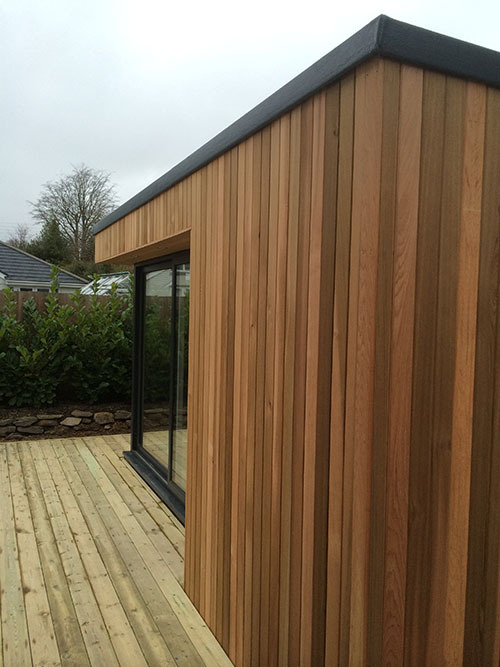 With our top quality garden chalets, constructed in our Devon workshop, you can find yourself having a graceful place to look upon your garden, perfect for sharing a drink with a friend or loved one. Garden chalets can be enjoyed during even the coldest of months with our heating and insulation we offer so allowing you to enjoy being outdoors while keeping warm throughout the year. Chalets can allow you to create a completely separate living area from your home and as our garden chalets are made to look right at home within the garden scenery.